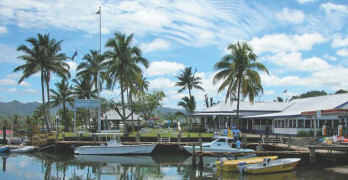 Pacific Harbour lies along the south coast of Viti Levu, opposite Beqa Island. At the mouth of the lazy Qaranaqio River, you will find the brand-new boutique Marina at the elegant Pearl Resort. 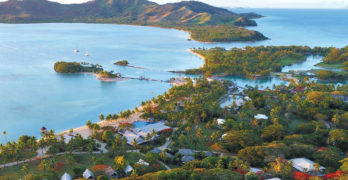 Designed by Australian-based Marina International, designer of Singapore’s Keppel Bay Marina and Dubai’s 3 km, 800 berth Marina, the new $7m Marina is a welcome addition to Fiji’s coastline. 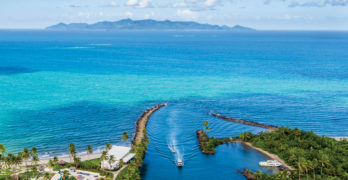 It is not only a luxurious haven for visiting yachts, it also provides access to the abundance of water based activities in and around the world-renowned Beqa Lagoon. 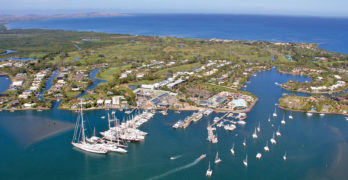 Port Denarau Marina was the recipient of the Marina Industries Association “International Marina of the Year 2015/16” and 2015 ANZ Fiji Excellence in Tourism Awards for ‘Services & Support to Industry’. MIA Clean Marina & Fish Friendly Accreditation 2017 – 2020, MIA International Marina of the Year Award 2017/2018, MIA Best Community Support 2017/2018, MIA Finalists Innovation by a Marina 2017/18. Welcome to Vuda Marina Fiji! 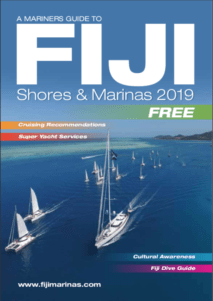 The historical beach where our intrepid ancestors first discovered Fiji, having sailed in canoes from lands far, far away, now presents you with a modern marina to discover. Welcome to the Capital – Suva! Suva Harbour is well protected by a fringing reef about 1.5 miles offshore. The opening is well marked and wide enough to enter with plenty of room for commercial ships. However, the reefs lining the coast and the main entrance are dotted with shipwrecks. Malolo Lailai was an uninhabited island that was originally sold by a chief of Nadroga – Ratu Kini in 1872, to John Thomson who intended to plant cotton. 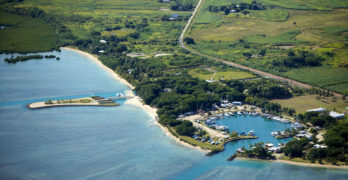 The island was eventually sold to an American, Louis Armstrong (not of ‘Wonderful World’ fame although, had that Louis Armstrong been here, Fiji would have definitely been the inspiration for the song!). 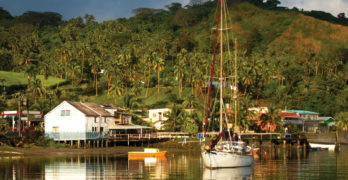 The rustic Waitui Marina adds a quaint charm to the Savusavu foreshore and swing moorings are popular during season. You can call on VHF Channel 16 (or after hours on telephone numbers 885 3031 or 997 2558) and dock staff will meet you and guide you to your mooring.